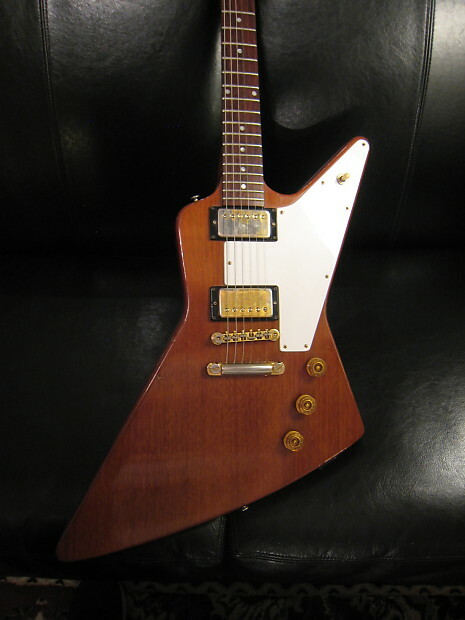 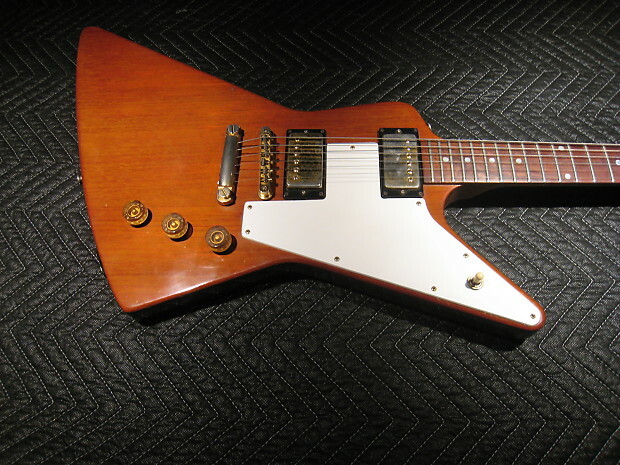 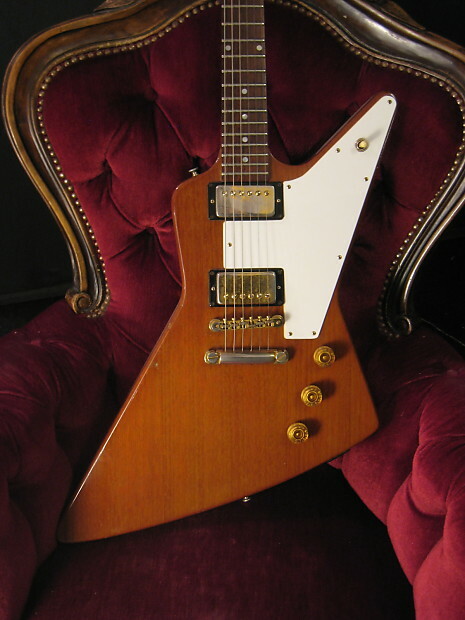 This is an Original 1976 (Not Reissue) Gibson Explorer Limited Edition. 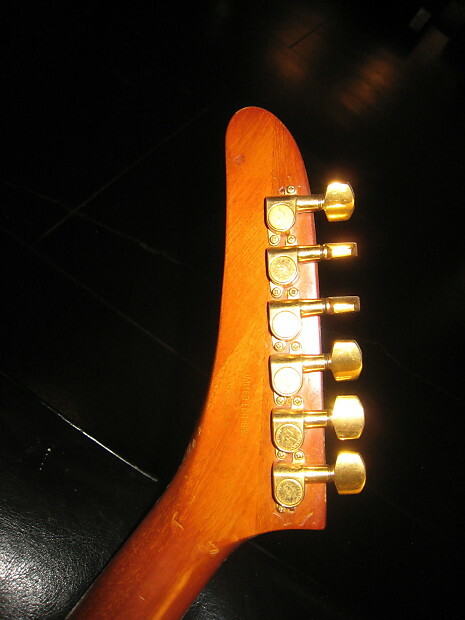 It has mostly original hardware, save for the tuners which had to be replaced. 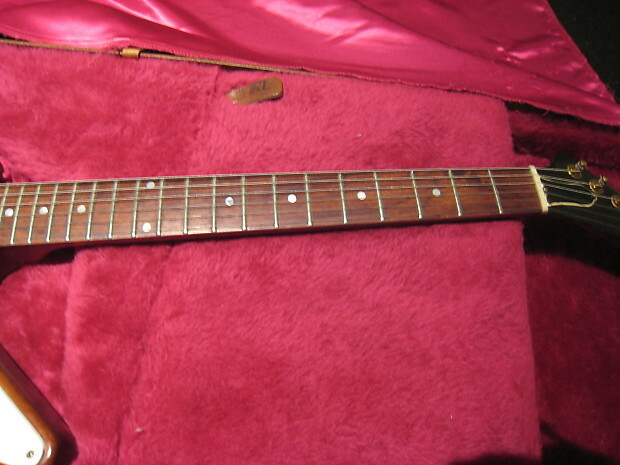 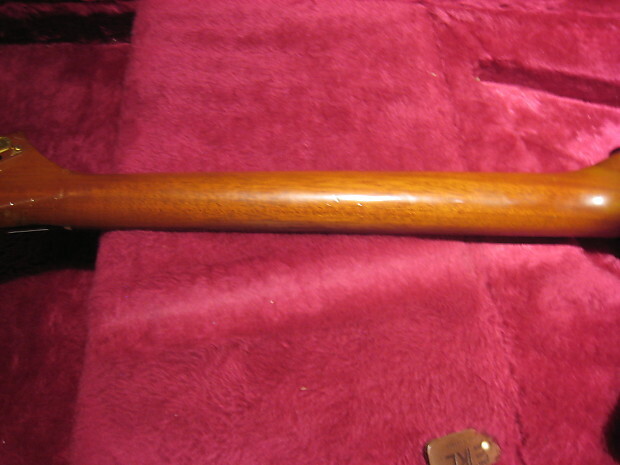 Mild play wear with several dings and scratches on the body and neck. 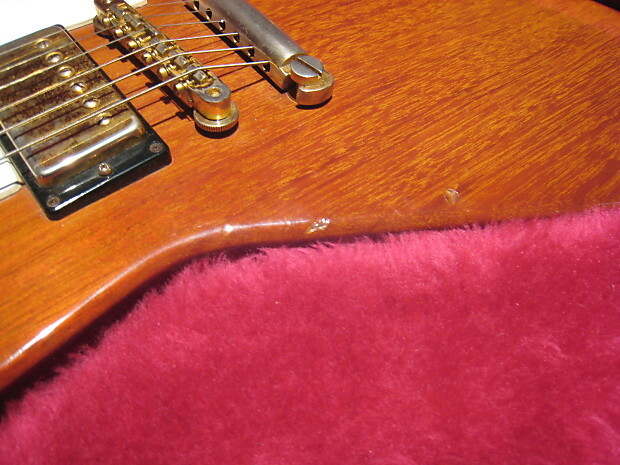 No major buckle rash. 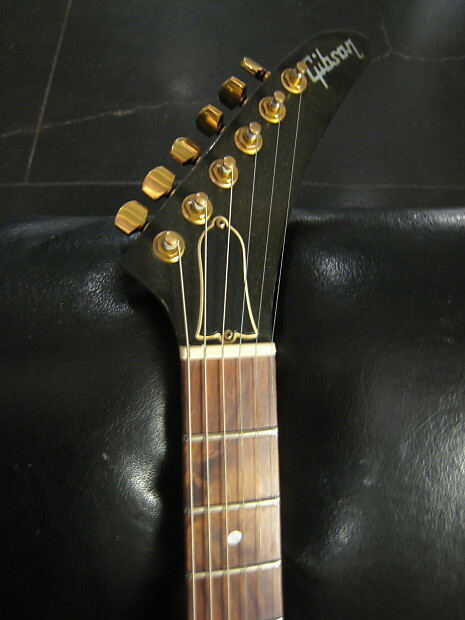 No breaks or repairs ever. 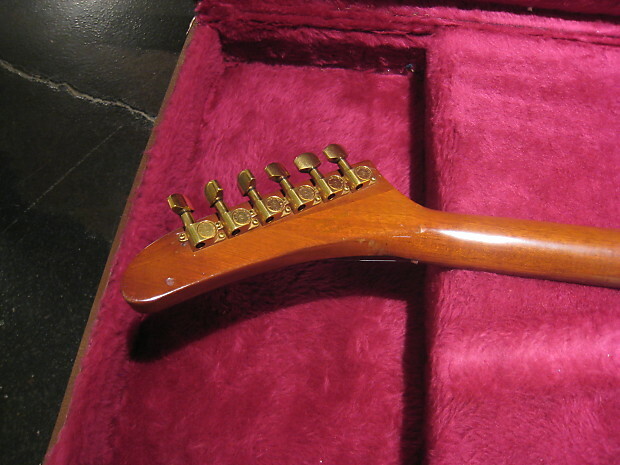 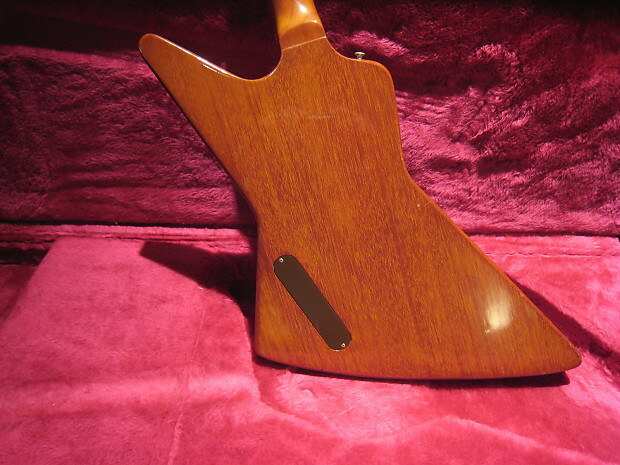 It has the characteristic thick neck profile which contributes to its massive sound. 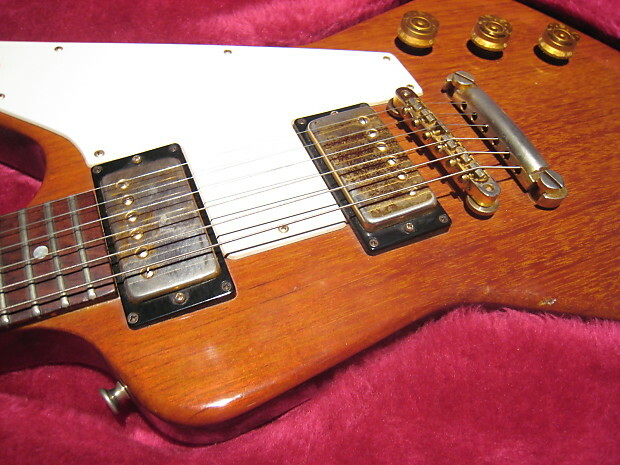 The tar back pickups drive the vintage rock tone with just the right amount of output. 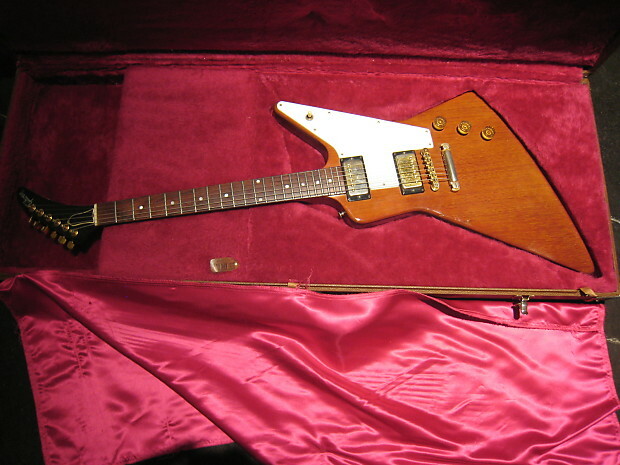 New guitars just don't sound like this! 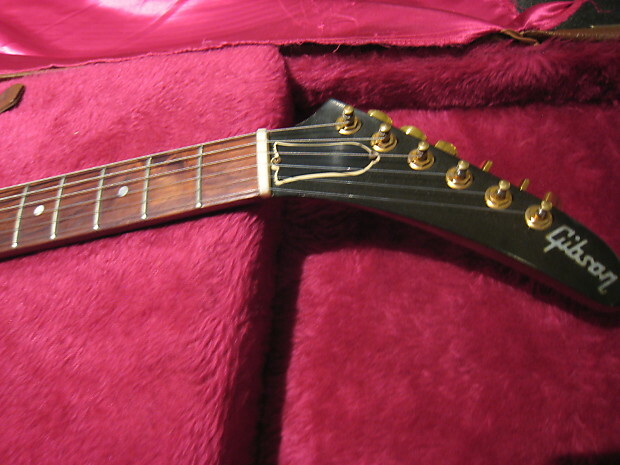 Frets are in great condition and it plays smooth and fast. 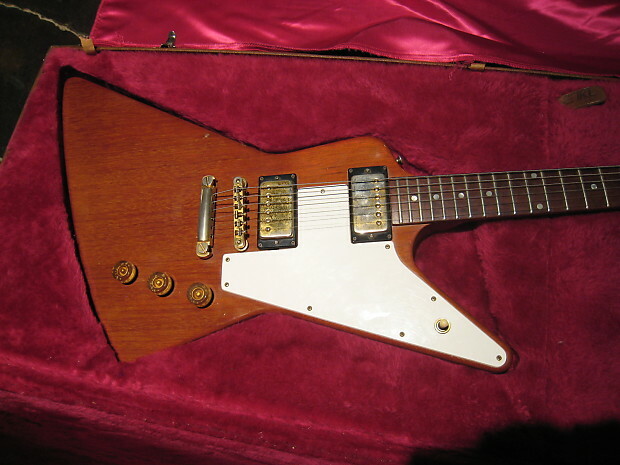 Comes with a replacement gibson hardshell case.